Whether you鈥檙e following a ketogenic diet or are just 鈥渒eto-curious鈥� like me, bread is probably one of the hardest things to forgo. Bread is just so comforting and convenient. Think about it: Turkey and cheese are spare and elemental on their own, but put them between bread and suddenly they become a meal. 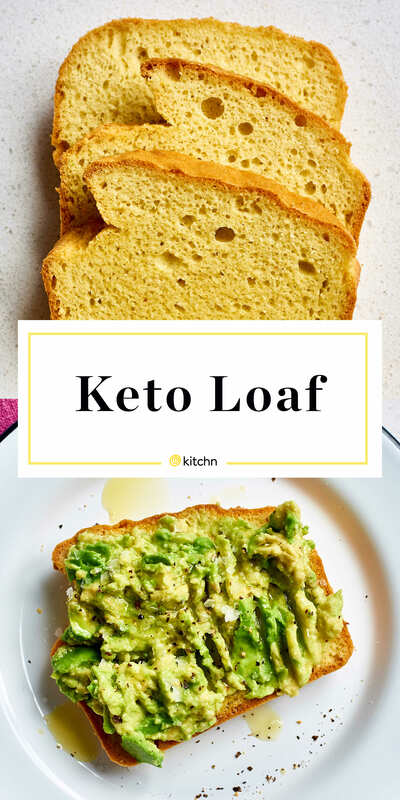 Clearly a lot of keto-conscious people feel the same way, because the internet is full of keto sandwich bread recipes. 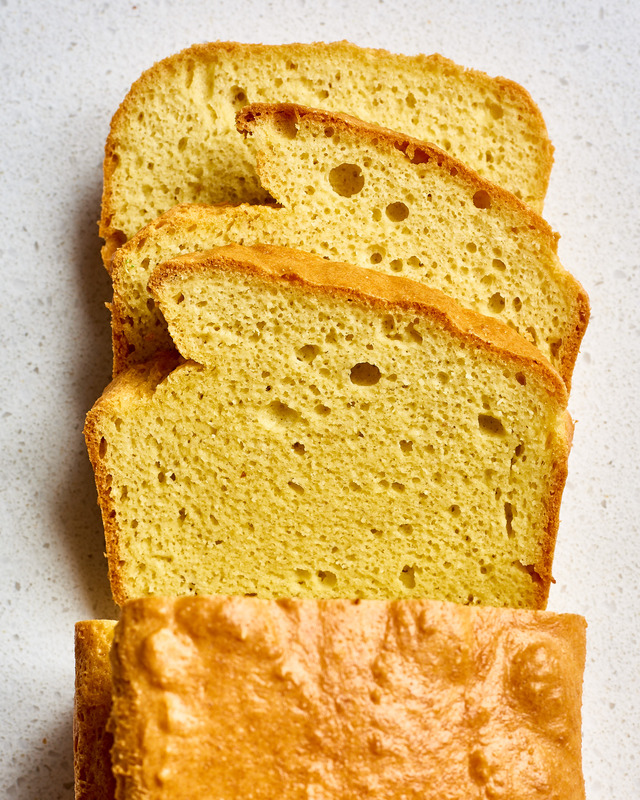 I took some time to comb through the offerings and found they all had a few common denominators: almond flour instead of wheat flour, lots of eggs, and xanthan gum to help bind everything together and keep it moist and sliceable instead of crumbly. I decided to give a few recipes a try to see if any could become sandwich material. According to many of the recipes I鈥檝e read, 鈥渆ggy-ness鈥� is an issue with keto loaf bread. Most recipes claim not to be 鈥渆ggy鈥� but do, in fact, taste eggy. So, when I went out to find a recipe for the very best keto loaf bread, I prioritized recipes that seemed like they wouldn鈥檛 have this attribute. The first recipe I tried used active dry yeast to help the bread rise and provide a better (not gummy!) texture, which seemed promising. The yeasty bread had a lot of ingredients, including golden flaxseed meal, psyllium husks, and whey protein, and it required an hour-long rise, but I like the yeasty flavor of real bread so I was willing to go the extra mile. I forgot to get the psyllium husks so I used extra flax meal as the recipe directed. And I couldn鈥檛 find unflavored whey protein so I got the next best thing: vanilla whey protein that was sweetened with stevia. It only required a tiny amount so I didn鈥檛 think the vanilla or the stevia would make a difference. Other than that I was pretty faithful to the recipe. The end result, though, was a bit disappointing. The flavor wasn鈥檛 even close to that of wheat bread (not really a surprise) but the biggest problem was that it tasted overly salty and harsh. Definitely not something I鈥檇 eat on its own. It toasted up well in a saut茅 pan with oil (these keto breads toast more evenly in a skillet than in a toaster because of the lack of carbs and sugar) and it was more palatable when paired with similarly bold and salty ingredients, like salami. But I still didn鈥檛 look forward to eating it. Next up was a bread also deemed 鈥�the best鈥� and non-eggy, although this one required seven eggs so I was a bit skeptical about that claim. I liked that this one had just a few ingredients and could be mixed up in minutes. The only 鈥渙dd鈥� ingredient was xanthan gum, which seems to be essential for giving the breads the soft chew of glutinous bread. I found it easily in the gluten-free baking section at my local supermarket. I strayed from the recipe only in how I mixed it, using an electric mixer with a whisk attachment in order to whip as much air into the eggs as possible. And I made sure to use super-finely ground almond flour, which is pretty easy to find in the baking aisle at Whole Foods or Amazon. The second loaf baked up looking like a gorgeous yellow pound cake (my pasture-raised eggs have super-yellow yolks). It deflated a tiny bit after I removed it from the oven, but it didn鈥檛 affect the texture. Since it was such a dead ringer for poundcake, I was a little worried it would have a similar texture: dense, heavy, crumbly. But instead it was light, moist, and even a bit chewy 鈥� very similar to real sandwich bread. Flavorwise it was reminiscent of popovers, with a crust that even had a popover-like glossy sheen. So eggy, yes, but I love popovers. And it wasn鈥檛 so eggy that it was like eating an omelet. It definitely still resembled actual bread. I could happily eat this one on its own, let alone toasted or made into a sandwich. And it did indeed make a great sandwich, from salami and cheese to tuna and pickles. 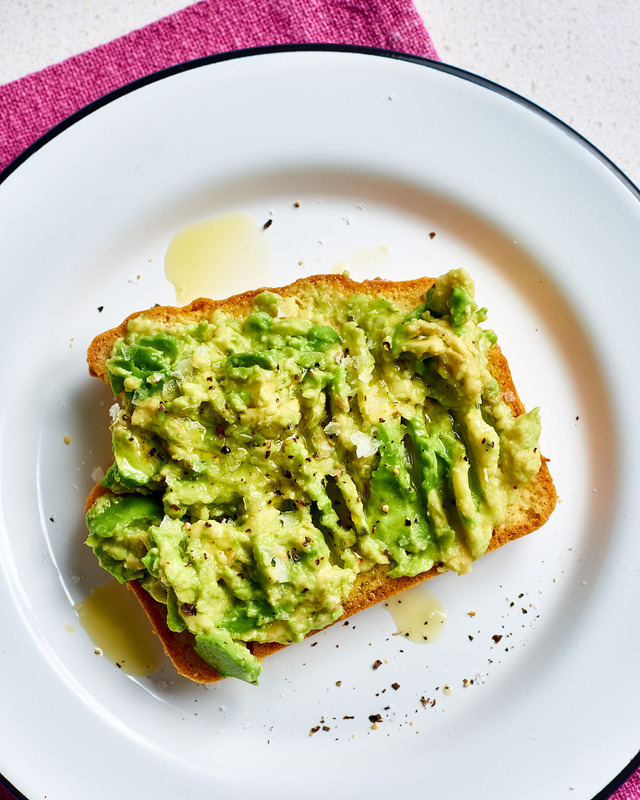 And when toasted it was the perfect partner to a fried egg breakfast. It鈥檚 also great in avocado toast form. Whether I decide to go keto or not, this protein-packed bread is definitely a keeper. Arrange a rack in the middle of the oven and heat to 350掳F. Line the bottom and sides of a 9x5-inch metal loaf pan with parchment paper, letting the excess hang over the long sides to form a sling. Set aside. Whisk together the almond flour, baking powder, xanthan gum, and salt in a medium bowl. Set aside. Place the eggs in the bowl of a stand mixer fitted with the whisk attachment. Beat on medium-high speed until light and frothy. Reduce the speed to medium, slowly add the melted butter and coconut oil, and beat until until fully combined. Reduce the speed to low, slowly add the almond flour mixture, and beat until combined. Increase the speed to medium high and beat until mixture thickens, about 1 minute. Pour into the prepared pan and smooth the top. Bake until a knife inserted in the center comes out clean, 45 to 55 minutes. Let cool in the pan for about 10 minutes. Grasping the parchment paper, remove the loaf from the pan and transfer to a wire rack. Cool completely before slicing. Storage: The bread can be refrigerated in an airtight container for up to 1 week or frozen for a few months. Adapted (with permission) from FatforWeightloss.com.au.